Copenhagen Port of Call for international Cruise Ships - with historic terminal facilities. Copenhagen Cruise. Cruising & Touring Denmark & Scandinavia. All international Cruise vessels that visits Denmark’s Capital city Copenhagen for the cruise season - will either line up at the Langelinie Pier - or the harbour area of the Freeport Piers at Nordhavn. 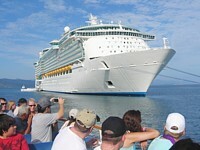 The “Turn Around” Cruise ships - will mainly tie up at the North Harbour Piers for embarkation. The world’s leading Cruise companies use Scandinavia’s largest capital Copenhagen - as one of their most important and popular embarkation ports - and destination ports of call - due to the favorable location of the city by the waterfront - which is the natural and main gateway to Denmark - Sweden - Finland - Russia - Estonia - Latvia - Lithuania - Poland and Germany - where mostly all cruise vessels have stopover ports in major capital cities during their voyages. 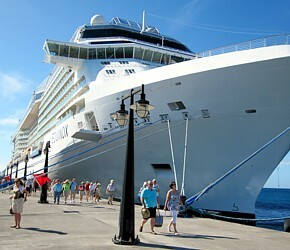 Copenhagen has 4 Cruise Ports of Call - spread over the harbour area! The Langelinie Quay will serve millions of incoming cruise passengers and is located in the opposite direction of the Freeport Piers of Copenhagen. 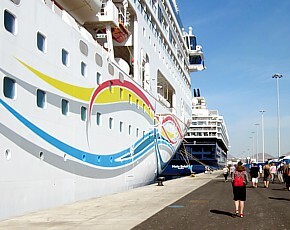 The Ocean Quay Cruise Terminal is established on the North Harbour area to service the millions of incoming international cruise travellers. Cruise Copenhagen. The Freeport Piers at Nordhavn - and the Langelinie Quay are located in opposite directions around the harbour area. A new permanent and modern terminal - The Ocean Quay Cruise Terminal is established on the North Harbour to service some of the millions of incoming international cruise travellers - and crew members more conveniently in the future - with a pier to dock three cruise ships at a time. The DFDS Terminal at Amerika Plads serves passengers sailing to Oslo - Norway. The Langelinie Quay offers their passengers historic terminal facilities - and situated in the Langelinie park area. 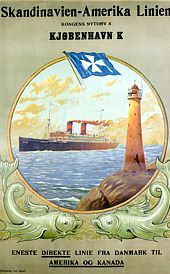 The old Langelinie quay was established in 1910 - for embarkation of international cruise liners - and is still functioning as a cruise terminal. The average Cruise Ship season in Copenhagen Ports has almost 300-320 Cruise Ships Calls yearly - with over 1.2 million passengers and crew member from all over the world visiting Copenhagen by ship - and a larger number of Cruise Ships and passengers are expected in the future - when new Cruise Port Terminals and Cruise Ports have been established around the harbour areas of Copenhagen. 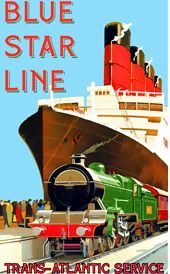 The busiest months for Cruise Ships Calls in the ports of Copenhagen and Denmark for Cruise Liners are June - July and August - and the roughly nationality breakdown of passengers visiting Copenhagen is as follows: USA/Canada (25%) Germany (23%) - Scandinavia (21%) - UK (14%) - Italy (7%) - Spain (4%) - Australia (3%) - and worldwide (3%). Copenhagen is the largest port of call in Northern Europe - and main gateway to Denmark - Sweden - Finland - Russia - Estonia - Latvia - Lithuania - Poland and Germany. 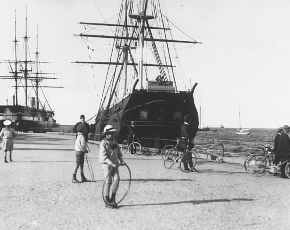 The Langelinie Pier has since it was established in 1894 - always been a popular outing venue and stylish promenade for Copenhageners - as this picture from 1910 indicates. Every year the pier is filled up with cruise ships from all over the world with thousands of passengers visiting Copenhagen. 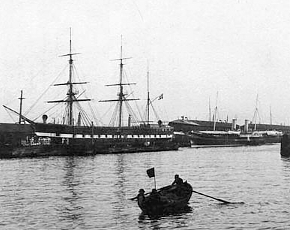 The Freeport of Copenhagen was established in 1891-1894 and even in 1905 (picture) it was a very important and busy seaport. Today the harbour area is called Nordhavn and is the main port of call with modern terminal facilities and transport services for international cruise ships. When Cruise Ships line up at Langelinie Quay beside the Langelinie Park - many cruise passengers can experience the Royal Danish Yacht docked in the harbour area alongside the Langelinie Promenade - which was established in 1894 - and has always been a popular outing venue for Copenhageners. 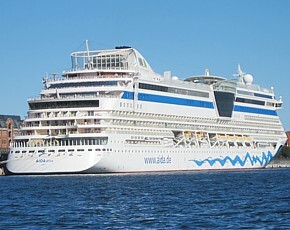 All international Cruise vessels that visits Denmark’s Capital city Copenhagen for the cruise season - will either line up at the Langelinie Pier or the harbour area of the Freeport Piers at Nordhavn - on their voyage to the Baltic and Scandinavian countries - as Copenhagen is the main gateway to the Baltic Sea. 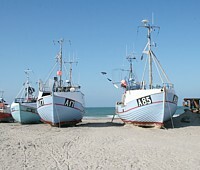 Visit the vast and rustic West Coast areas of Jutland - with the ever moving sand dunes - and the fishing boats on the sandy beaches. Beside Copenhagen being the major cruise destination in Scandinavia - then several other beautiful and exhilarating cities in Denmark - all filled with a rich history - interesting attractions and an explosion of cultural venues - are visited by intercontinental cruise passengers - as these selected cruise destinations and Danish waterfront townscapes are widely used as the Port of Call for international Cruise Liners cruising the clean and steady waters of Denmark. Our Inbound Travel Service Team offers comprehensive shore excursion and field trips from all Danish cruise destinations - as well as exploring the countryside around the local historical areas with many exciting sites and top attractions. 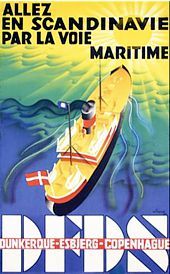 ...and other Ports of Call in Denmark! Inbound Travel Service provides all services at Copenhagen ports of call - as Ground Operations - Transfers - Sightseeing - Shore Excursions - Cultural & Leisure Events etc. 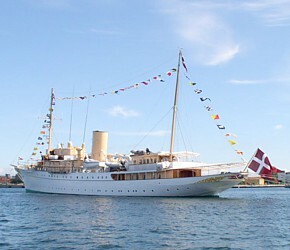 - with the best combinations that ensure safe and enjoyable arrangements in and beyond Copenhagen. We also offer Cruise Events - and Hospitality Venue Programs - as a part of our Destination Management solutions and services. TRANSFERS - TOURS - CONFERENCES - JOINT VENTURES - EVENTS - ACCOMMODATIONS - TRAVEL INCENTIVES ETC. Click event for more info! Historical places - Museums - Amusements - Sightseeing venues etc. 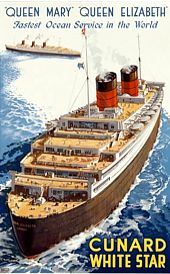 We arrange individual city tours and special field trips in and outside of Copenhagen - as well as weekly cultural and historical excursions for small and large groups - with authorized guides that's speaks the cruise passengers preferred language. Copenhagen is the capital of Denmark and an old historical and cultural city with an overflow of interesting attractions and venues that one can find on the interactive map of Copenhagen - together with all the information on Copenhagen-Portal.dk. Visit the The Little Mermaid (The national landmark) - Tivoli Gardens - A long harbour and canal tour (Historical Copenhagen by Sea) - Amalienborg Palace (Royal Residence) - Christiansborg Palace (Danish Parliament) - Rosenborg Castle (Crown Jewels) - “Nyhavn” (The longest bar in Scandinavia) - The Round Tower (1642) - The Old Citadel (1664) - The City Hall Tower (Birds eye view of the city) - The Open Air Museum (Amazing Rural Buildings from 1650-1950) - The Lure Blowers (Test if you're a virgin) and much more - like tasting a cool foaming Carlsberg Beer at its Visitor Centre - or stop at a little Micro Brewery with a variety of own special in-house brewed beer. Take a tour with us to the little fishing village just outside of Copenhagen called Dragør - where fishing boats enters the harbour early in the morning with their daily catch - or sail with an old wooden schooner and experience the Sound and the North Sealand (Zealand) coast line together with a glimpse of the Swedish seashores. Our interactive maps over Copenhagen and Greater Copenhagen can help deepen the knowledge to the many prehistoric places and remarkable top tourist locations described as well as being a helpful inspiration guide - when selecting venues for planning tour suggestions in and around Copenhagen. Outside of Copenhagen there are many exciting venues such as the little fishing village Dragør just 12 km from the city centre - where visitors still can buy fresh fish from the ship side and experience the maze of old fishermen's yellow painted houses - red roofs and cobblestone streets. In North Sealand one will find all the heavyweight top attractions like Kronborg Castle at Elsinore (Hamlet's Castle) from 1590 - then the Royal summer residence Fredensborg Palace at Fredensborg from 1720 - with the huge historical park and baroque garden - and then the largest renaissance castle in Scandinavia - Frederiksborg Castle at Hillerød from 1560 that also houses The Museum of National History. Alongside the eastern coastline to Kronborg are the Karen Blixen Museum and Louisiana - Museum of Modern Art - situated with a splendid view over Oresund as well as Sweden and a gem for history and art lovers. We offer transfers - combined with exclusive door-to-door sightseeing tours and guided excursions - with authorized guides that's speaks the cruise passengers preferred language. On the very east side of Sealand at the town Kalundborg - the Five Tower Cathedral from around 1200 called Our Lady is beautifully situated facing down to the fjord. At Roskilde the great Roskilde Cathedral - built during the 12th and 13th centuries - is a popular attraction - where all the Danish Monarchs are buried since the reformation in 1536. On the mid east cost of Sealand at Stevns Cliffs - a very remarkable church and popular tourist venue from 1250 is located and called - Højerup Kirke - as half of the church collapsed during a storm and fell down into the sea. The Fjenneslev Church from 1130 and the birthplace of Copenhagen’s creator Bishop Absalon - as well as the Viking Settlement at Trelleborg from around 980 AC are historical places that are worth a visit. 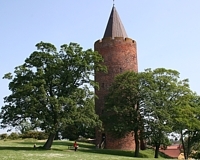 At the very south of Sealand - at the town of Vordingborg - the high and mighty Goose Tower was built by King Valdemar about 1364 - and was a part of an old fortress. On the Isle of Møn - the great Cliff of Møn is sited. It is Denmark’s highest cliffs being over 6 km long and a ever going tourist magnet - where one can experience 70 million years of history - when the Cliffs rose from the surface - at the time when all of Denmark was literary cover by the sea. 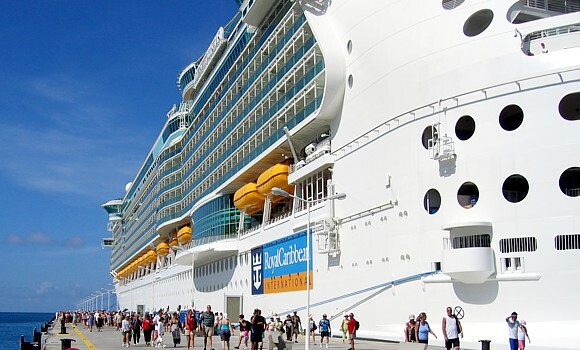 We offer transfers - combined with first-class door-to-door sightseeing tours and guided excursions - with authorized guides that's speaks the cruise passengers preferred language. Denmark is a cute fairytale country and best known as Viking country. In brief - you will find a mix of the best from both worlds - such as modern societies and ancient history. The Danish countryside is filled with beautiful landscapes and coastlines - historical relics of the past - cultural sights - old and new architecture - medieval castles and ancient manors - middle-aged towns and churches - extensive beach areas and natural scenic coastlines - exciting attractions and amusement parks - idyllic old market towns - prehistoric monuments and fishing villages and last but not least modern city life with many thrilling activities and plentiful of experiences. One will find inspiration for planning tour ideas inside Denmark by visiting the pictorial section in our presentation of Denmark under - Glimpse of interesting places in Denmark and some cultural traditions - and experience all the top attractions and historical locations in Denmark - which also will give you a peek into the Danes historical and cultural treasure chest. The Louisiana Museum of Modern Art is located in northern Zealand with a panoramic view across the Oresund. The museum frames the sculpture park facing the sea - and the interaction between art - nature and the museum architecture is quite unique. - One day trip to famous Kronborg Castle (Hamlets Castle) from 1574. Visit the Royal apartments and sleeping chambers. The Grand Ballroom and the Kings tapestries. The spooky dungeons and the horrifying casemates - where the national hero "Holger The Dane" is watching over Denmark - and the original Castle Chapel. Experience also the old ramparts that surround the entire Kronborg fortification with beautiful views over the Sound and Sweden. Kronborg Castle is a World Heritage Site. - Fredensborg Palace from 1720 - is the Danish Royal Family’s summer residence and visitors have access to the park area all year and inside of the palace complex in the month of July. - The impressive and splendid Frederiksborg Castle from 1600 and experience all the Royal rooms - chambers and fabulous Knights Hall. - Visit Fjenneslev Church from 1130 - with its remarkable and fascinating history. The church is also the birthplace of Copenhagen’s creator Bishop Absalon. After Fjenneslev - then continue to the famous Højerup Church from 1250 - located today at the edge of Stevns Cliff - where the choir collapsed in 1928 - and fell into the water - with parts of the graveyard and some of the grave monuments too. Then the tour continues further to the Isle of Møns Cliff - Denmark’s highest cliff - which is nearly 130 metres over sea level - and stretches over 6 km alongside the coastline. Møns Cliff was created over 75 million years ago - and offers the most fantastic panoramic view over Oresound - and Baltic Sea - and in really clear weather - one will experience Sweden and Germany in the horizon. 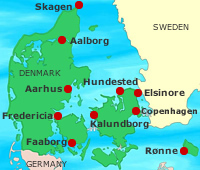 The excursion can be combined with a stop at the Viking Ring Fortress "Trelleborg" from 980 AC - built by the Danish King Harald Bluetooth - "Who won the whole of Denmark and Norway - and turned the Danes to Christianity." - One day Royal and historical trip to Roskilde Cathedral (Burial Plot for Danish Monarchs since 1536) - and the Viking Ship Museum. Roskilde Cathedral is a World Heritage Site. - The Viking Ships Museum was established in 1969 on the banks of Roskilde Fjord precisely where archaeologist found and started the excavation of the 6 well preserved Viking ships in 1962 - called the Skuldelev Ships 1-6 dated back to around 1060. Beside of the grand museum hall with the Viking Ships exhibited - there is a shipyard connected to the Viking Ship Museum where reconstructions of the original ships are built. Visit some of the Museums and Art Galleries in Copenhagen with Free Entrance and lots of interesting learning about the Danish culture and historical background. Free entry all year round to: The National Gallery - The National Museum - Open Air Museum. 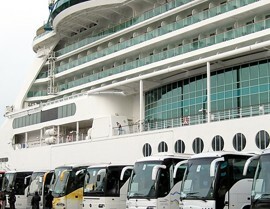 Our Bus Capacity covers a fleet of Luxury Coaches and Vehicles of various sizes. We arrange Special Guided Sightseeing tours in and around Copenhagen for individuals and groups with our skilled tour guides that speaks the customer’s preferred languages. The excursion can be programmed with a canal tour - visit to Rosenborg Castle for a distinctive tour of the Royal Chambers and Knight's Hall - and experience the Danish monarchy's gorgeous Crown Jewels - the Royal residence Amalienborg and changing of the Royal guards - plus a stopover at other interesting top attractions and historical landmarks of Copenhagen with plenty of photo opportunities. We provide special transfers to and from the airport - or cruise terminals - and also in combination with our tour packages around the city or countryside - with private chauffeurs or professional bus drivers - together with our qualified tour guides some with expertise in speaking many different languages - as well as conducting other types of special excursion arrangements - and guided tour programs. We can assure to accomplish any kind of luxury ground transportation services by customizing the activities to our customers needs - occasion and satisfaction. We always offer special transfers from the airport to the hotel or cruise terminals combined with other personal services - as waiting for our customers at the airport or cruise port - and meeting them there during the stay in Copenhagen. We can take you Here - There & Everywhere in and around Denmark! Our Event Calendar lists the most appealing and important events and show venues in Copenhagen for musicals - fairs - festivals - shows - cultural venues - exhibitions - conferences - sports events - amusements - arts and craft - local activities etc. and are often backed up with video sequences and presentations. The Copenhagen-Portal Event Calendar is constantly being updated showing the latest entertainments in the city. - Shopping Guide - to be updated! - Great Shopping Malls just 20 minutes from Central Copenhagen - to be updated! Just navigate trough this Copenhagen Portal Website - if you want to learn more about the city with the Little Mermaid and many other interesting attractions - as well as historical places. 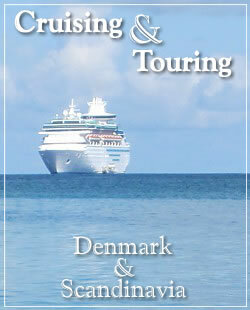 This Cruise Site - Cruising Copenhagen & Denmark will be updated frequently!